Nanook the Husky has a spirit of adventure deep within him. This a great thing when you live in Alaska. Nanook (Nookie) and his owner Scott Swift live at the head of Crow Pass Trail. 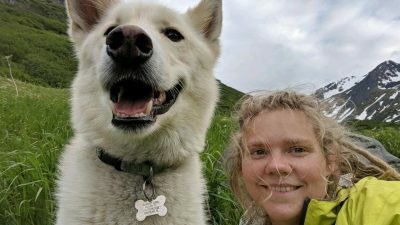 Nanook decided all on his own to become an unofficial “guide dog” for hikers on the trail. One day, Scott got a phone call about Nookie’s latest adventure. He had rescued an injured woman and waited for help to arrive. Amelia Milling is a college student from Tennessee. 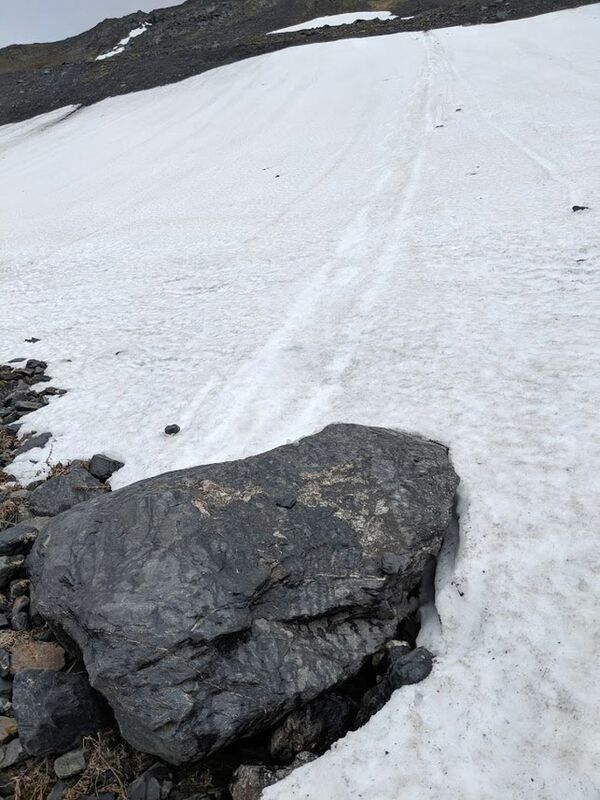 She had three day hike planned, and things were going fine until she reached the pass. “I’m a Southerner, so I wasn’t thinking about snow,” Milling said. She is deaf, so she spoke through an interpreter. She camped Tuesday morning, then attempted the descend into the valley. She lost her trekking poles and slid down a long slope. Then she hit a rock and was launched into the air. “I felt like I was flying,” she said. When she finally landed, she slid an additional two to three hundred feet. Amelia followed the dog back to the trail. They camped together overnight. In the morning, Milling was set to cross the the Eagle River, but the regular ford site was proving difficult. Amelia decided to find a different place to cross. The spot she chose was much deeper. She fell, clinging to her backpack as she floated in downstream. Fortunately, Nanook was there to pull her out. “I was struggling,” she said. After Nanook helped her get out of the water, she tried to warm up in her sleeping bag, but to no avail. She activated her emergency beacon, and they waited for the helicopter together. When Amelia was rescued, and they discovered Nanook wasn’t her dog, they called Nanook’s owner to tell him about what the dog had done. The best part about this story? This isn’t the first time Nanook has rescued someone on the trail. “This is the second time I’ve heard of he has saved someone from drowning in that river,” he said. A couple of years ago, a family was hiking the trail when a little girl fell into the river. Nanook rescued her and brought her to shore. 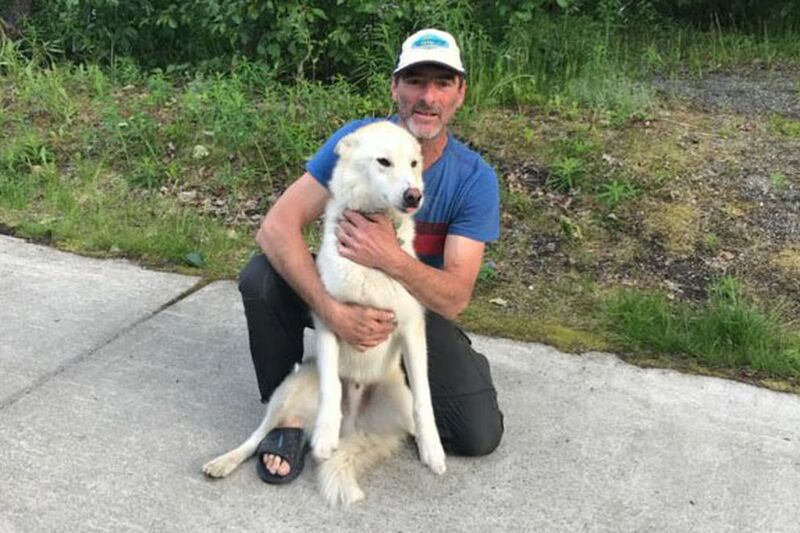 With the spotlight so recently on Nanook, other people have shared their stories about their adventures with Nanook. 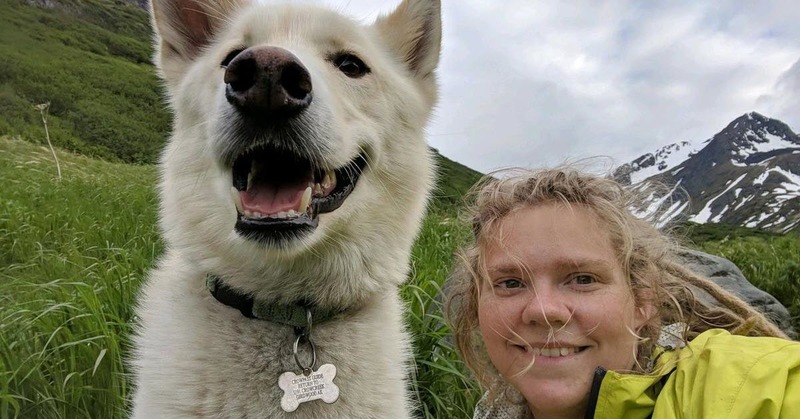 A neighbor said she was snowshoeing when an avalanche occurred, and Nanook stopped her from sliding down the mountain. She’s not the only one that feels that way. Don on Watch This Pit Bull Dog Interrupt A Live Weather Report! JS on Fallen Soldier’s Family Finds His Puppy In Iraq – Then Something AMAZING happened! © 2019 TheDogVibe.com. All Rights Reserved.